Just another post feedback plugin that adds a pretty nice like/dislike system to your WordPress posts. Hide like and/or dislike buttons. 1. 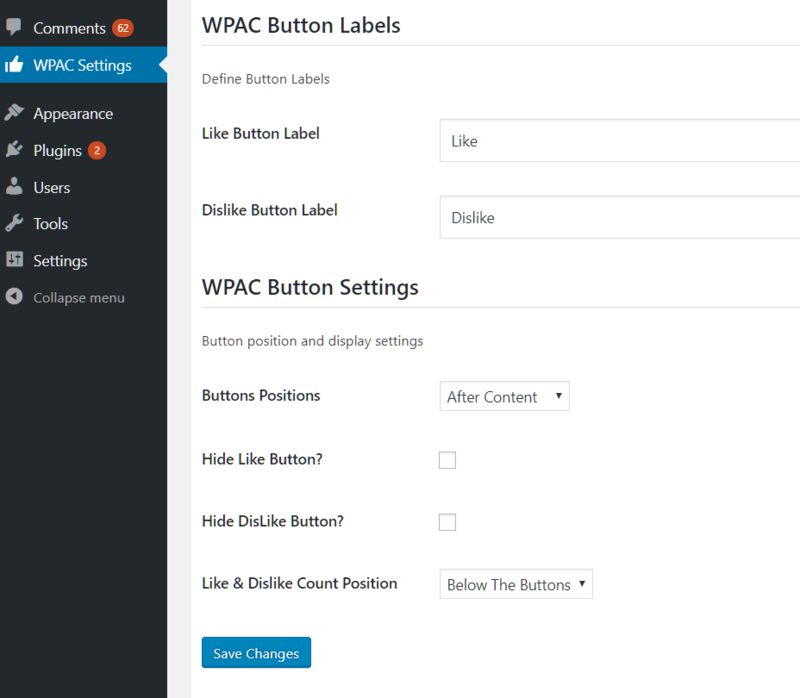 Install the WPAC Like System the way you like. 2. Enable the plugin and done. 4. You can also manually insert the Like/Dislike system into WordPress through the following shortcodes. Note that you must set the Buttons Positions to Custom.